I’m so sorry I didn’t post these earlier. Here are the questions from September and October. As always, I don’t answer all the questions, and many of you share ideas for products, which I don’t respond to but do forward to the appropriate departments. Did you go pick Shanna up from her mission? No. For those who aren’t aware, sometimes parents and/or families of missionaries will go pick their children up in the mission field when they complete their mission. We asked Shanna if she wanted us to do that, and she said no. She said she’d rather come home, settle back in, and then return to her mission after that adjustment period. We’re hoping to go back with her to Spain sometime in the next year, and we’re already looking forward to meeting many of the wonderful people she met and spending time seeing some of her favorite areas of Spain. Do you own a houseboat? No, we don’t. We are members of a time share, so we own a specific time period on a houseboat every year. How much work is it for your family to go on the Lake Powell trip? It’s actually not as much work as you might think because we’ve gone so many times, we have it down to a science! It’s one of the easiest trips we take! We have the same routine, the same menu, and pretty much the same activities every time we go, so when it’s time we just pull up the Lake Powell list on the computer, print it out, and make assignments. Of course, we finesse it now and then when we discover something that works better or something we like better, but we just update our list and so the next year we’re all ready to go. Wondering if it would be possible to digitalize some of your designs so we can make them in quilts? I know it has nothing to do with stamping, but Stampin’ Up! images are so pretty I would love to see them on my quilts. Does that sound do-able? Thank you for your kind words about our artwork. That’s a great idea but not something we’re looking at right now. We do have the Big Shot and the die cuts, and many people use those tools for quilting. Where did you find the PJs with owls on them for the Advisory Board? How are Board members selected? I don’t purchase the PJs; it’s been a tradition for the Advisory Board members to purchase them for our My Favorite Things night, and they graciously gave me a pair as a gift. I think they found them online, but I’m not sure where. We look at a wide variety of criteria when we’re choosing board members, including geographical location, level of activity, involvement in their business, etc. We strive to find a nice balance of longevity with the company, approach to doing business, and things like that. We don’t necessarily always choose our highest-achieving demonstrators, but we certainly are looking for demonstrators who are actively involved in building a business, so they understand the challenges our demonstrator base experiences as a whole. A few of you asked additional questions about the Advisory Board. Some of them choose to share their status as Advisory Board members quite openly, while others are a bit more private. Of course, anyone who went to convention knows who they are, and it’s not hard to find out who is on the board from year to year. However, it’s our policy to protect the privacy of the Board members on our end, so I won’t mention anymore about them, other than I feel privileged and honored to work with the fine women who have served on this Board throughout the years, and I am so grateful for their hard work, commitment, and insight. Any hope of your past vintage stamps returning? The only time we have brought any retired stamps back in the past was to celebrate a milestone anniversary. We just celebrated a significant 20-year anniversary, and while we are looking forward to our 25th, specific plans are still far in the future, so I can’t make any promises. . . .
What do your family members (daughters, SIL, siblings, parents) do at Stampin’ Up! Or what have they done in the past? Wow, at some point in time family members have done just about everything, from placing and picking orders to answering phones, and from creating projects to planning events. They’ve worked in product development and scheduling and . . . well the list goes on and on. 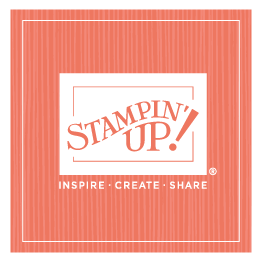 My family has been—and continue to be—very supportive of Stampin’ Up! What does Stampin’ Up! do with the rubber that is recycled? We donate all the rubber that is recyclable to an organization called Courage Reins (a group that provides therapeutic horseback riding experiences, along with other equine-based activities, for people with disabilities). Courage Reins, in turn, sells the rubber for a reasonable price for playgrounds and other similar uses. Would it be possible for SU to be more proactive about accommodating the deaf and hearing-impaired demonstrators by providing captioning and/or scripts for webinars, audio and video training without us having to ask for it every time? I have asked our corporate communications department to look into identifying this type of information for our deaf and hard-of-hearing demonstrators. Thanks for the suggestion! Can I borrow/rent Mom Pat? No way! She’s mine—and my sisters! I laughed when I read this, and so did Mom Pat. We all have so many things on our to-do lists that we will keep Mom Pat busy for the foreseeable future. How many years did it take Lisa Fast to reach the million-dollar milestone? I should have mentioned that, huh? She has been a demonstrator for thirteen and a half years, and what is remarkable about her achievement is that she reached this milestone while raising a family (which many of our demonstrators do, of course) and running a day care business as well! What was on the M&M’s, the brown T-shirts, and the banners that were shown for the Lisa Fast celebration? The M&M’s had Lisa’s name and One Million Dollars; the brown T-shirts read, “Congratulations, Lisa Fast, One Million Dollar Achiever”; and the banners also said Congratulations. Funny that you don’t know what HGTV is, especially since I just watched you on that very channel (a DIY segment of “Scrapbooking with Sandy Genovese”). That is funny. I haven’t done a DIY segment for many years, and I’d completely forgotten they were associated with HGTV.